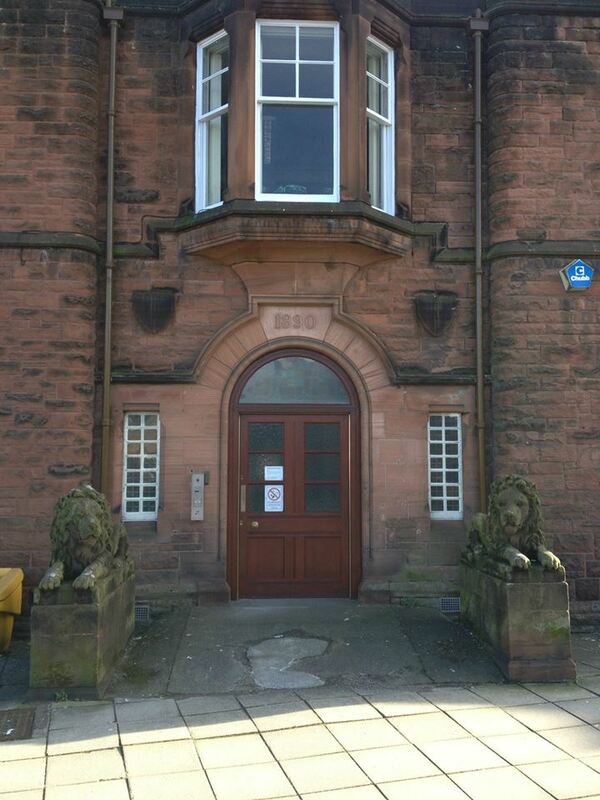 The Loreburn Hall in Newall Terrace, Dumfries, was built in 1890 as a drill hall for army volunteers, one of many drill halls built throughout Britain at the time for training volunteer forces needed to supplement Britain’s overstretched regular army. In 1914, the hall was the base for "D" Squadron, Lanarkshire Yeomanry and was the Headquarters of "A" Company, 5th Battalion, King's Own Scottish Borderers. Around 344 drill halls are believed to have been built in Scotland between 1880 and 1910, of which 182 are thought to survive today. Additions and alterations were made to the Loreburn Hall in 1909 with further alterations in 1967. For many years, the hall was at the heart of Dumfries life, hosting a diverse range of events including musical performances, flower shows, dog shows, wrestling, roller skating, carpet bowling and dancing. The hall was closed in 2008 when Dumfries and Galloway Council opened its flagship leisure centre, DG One. When building defects were discovered at DG One in 2014, ironically Loreburn Hall was brought back into temporary use to house the gym and sports facilities. Loreburn Hall was given category B listed building status in October 2006 thanks to the tireless efforts of the late Jim Fisher which ensured that, today, the community has a legacy that remains in the common good for the benefit of the wider community. Visit the Historic Scotland website here. 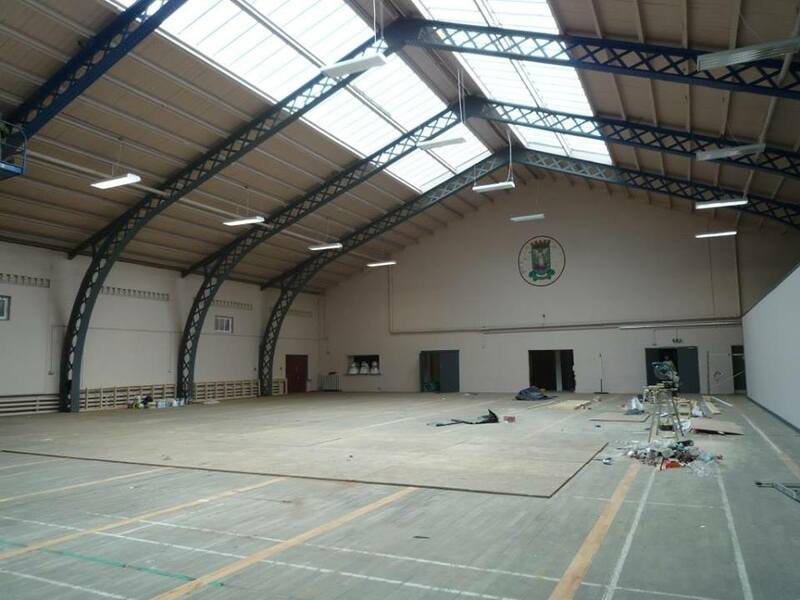 The main hall prior to refurbishment work in 2014 to allow the hall to accommodate sports and recreation activities during the closure of DG One for remedial work.